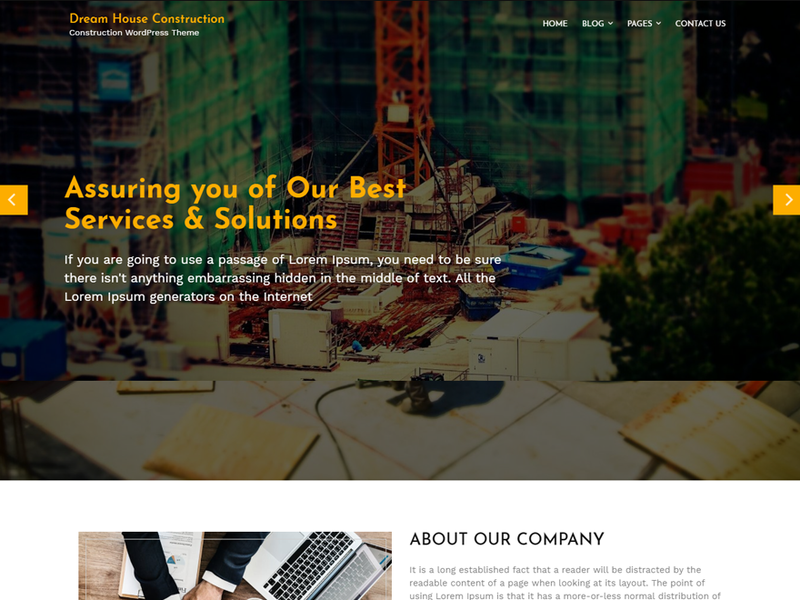 Dream House Construction is a WordPress theme special design for Construction Agency, Relate State Agency, Architecture house and overall construction and real estate sites. For a construction company, it’s very important that they showcase their service in a very pleasant and distinct way to let their current clients be updated and attract more valuable customers. This WordPress theme serves that purpose. Dream House Construction included important features for presenting online presence of any company beautifully. Its a fully responsive, multi-purpose theme and SEO friendly theme. It has highly customized option and advanced widgets which lets the user design the whole look of the site without touching code.